Listening to old rock n roll from the 1960s and 1970s on Sirius radio this morning, through a filter of the relative comfort of middle age, secure job, and loving family, I can reminisce about, but no longer a fan of music that I embraced when I was in my teens and twenties. Bearing a chip on your shoulder about what you think life owed you and didn’t provide – it was that person whom this music appealed to. As I got older, that period of my life in Arizona was more about self-entertainment than starting a career. I completed a college education in Tucson but it was not my aspiration to be in retail store management or an airline baggage handler – my jobs at the time. I remember one Christmas as I time I sold a collection of Morgan silver dollars to buy Christmas presents for my mother and relatives. And I was resentful about that, instead of being a “giving is more blessed than receiving” mood. From my vantage point of my late-Fifties, my first thirty years were not horrible. I had some challenging years with parents with emotional and physical handicaps. Some lonely times. Relationships in and after- my first enlistment in the Navy, in college and afterward, that fed off each other’s weaknesses instead of strengths. Often these collapsed at the Christmas holiday. While I no longer have misgivings and enjoy the season, there are people emotionally-injured by life and have difficulty at Christmas time. My last twenty years have been a complete and positive change, because of a spiritual awakening. A gift that is truly priceless, changed my life and outlook. And most significantly, I enjoy this season between the Thanksgiving holiday through New Year’s Day. Encouraged to have an outward focus all year long, sharing the Word of God, showing kindness to strangers, feeding the hungry, helping single parents and the homeless, I still have a lot of growth in those areas. I would like to admit that I am more frequently outward-focused, but that is not the case. Life, bills, commuting, work responsibilities get in my way. I have to be reminded and to continually practice giving gifts. With all the commercialism of the season, I am more easily reminded but I have to season my attitudes with a spiritual giving of my time and my “heart”. But at this time of year, it is on my heart. 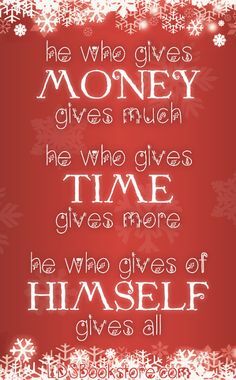 And there is something about giving that is truly more enjoyable than receiving. Recently, it was helping my neighbor by being, un-asked, a needed pair of hands to attach an unyielding cover to a boat that was frustrating their two-man job. Other times, it might be half a deli sandwich (saved from my lunch) I dropped off at work when my wife works late. And sometimes it can be watching visiting parents and kids enjoying the Christmas lights in my neighborhood. And watching them enjoy taking pictures posing with our inflated Christmas Minions in the front yard. For sixteen years, my wife Sheri has traditionally made a holiday treat, chocolate-covered peanut butter candies (frozen) for our friends and family. Dozens of friends and family members get very excited to be on Santa’s “nice” list at this time. Sometimes she will invite the daughters of long-time friends to help mix, roll out or dip them in melted chocolate. Sheri will literally spend days and some nights gathering ingredients, making the balls, freezing them, dipping them and then packaging them in little boxes. In recent years, co-workers, and some of the employees at places we have done business with for years are also hoping to be again on that list. I normally help deliver these, but I have taken to including some coworkers of mine in the list. And making up for some recent years embarrassment, forgetting to leave a gift for my mail carrier, I have this year included him in some small tokens of appreciation. Over the years, he has dodged my children’s parked cars, squeezed between my “dog-car” and the mailbox, and on trash-day, several trash bins in the street, to leave my mail. And this year, we take delivery of bottled water every two weeks. I feel both deserve a little Christmas “thank you ” this year so I went to Home Depot for gift cards. Everybody can use a few dollars on “projects”, right? Given the proper timing, we may leave them some peanut butter balls. While BITCOIN may be the popular currency at the end of 2017, many of our circle of friends will get a lot tastier pleasure eating a peanut butter ball. Thank you! I appreciate you visiting! Yes! Thank you. I am grateful that, in a world of troubles, Jesus tells us to be secure in Him and have peace (John 16: 33) Merry Christmas to you !